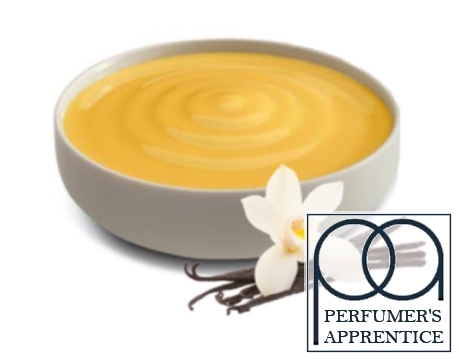 Perfumer’s Apprentice Vanilla Custard Concentrate has a beautifully rich and buttery flavour with a creamy vanilla taste. 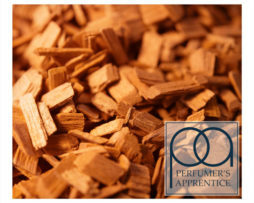 Perfumer’s Apprentice Vanilla Custard Concentrate has a beautifully rich and buttery flavour with a creamy vanilla taste. 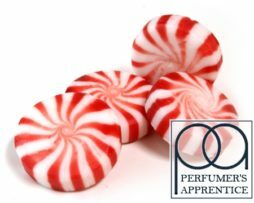 For many users, Capella is the king of custards, but others find that this Perfumer’s Apprentice custard flavouring to be better, with its vanilla notes being a bit more prominent. As with all flavourings, taste is subjective but you will find that this is a lovely mellow and sweet concentrate, which can be used in a multitude of cake or dessert recipes but like all custards, it definitely improves in flavour after a good steeping. Nah, sorry...as straight up custard it's not that great. Don't know where all these 5 stars are coming from. Was willing to give it a chance, but even with a cured in a new coil/wick build, ...still nah. Tried it coz it was a lower percentage mix, but not even close to Capella V1 or 2, if custard is your thing. (Straight up, or even for cream sweetener mixing). Sorry to say...very disappointing! I mixed this at 11% [I will go lower next time] in a 60/40 VG/PG Mix, 14mg Nicotine. I left it to steep for 4 weeks. It is outstanding to my pallet. Rich, spicy vanilla, smooth as anything. Very highly recommended. I bought 30mL of this, based on reviews here, and am pleased I did. I am so looking forward to mixing this with fruits and bakeries. Nah, sorry…as straight up custard it’s not that great. Don’t know where all these 5 stars are coming from. Was willing to give it a chance, but even with a cured in a new coil/wick build, …still nah. Tried it coz it was a lower percentage mix, but not even close to Capella V1 or 2, if custard is your thing. (Straight up, or even for cream sweetener mixing). This is a nice custard I was hoping for a little more vanilla flavour but hey ho, got a really nice custard. On its own, it needs to be quite a high percentage to get the flavour through, it has a lovely smooth texture in the mouth with a very sweet taste but not sickly at all. It is very good for mixing, it is useful as a sweetener and I found I could keep adding it to increase sweetness with a hint of custard so good if you need a subtle, sweet smoother. I sat it in hot water for while it really did help to intensify the flavour. 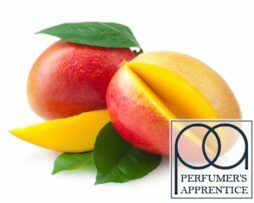 Perfumer’s apprentice French vanilla deluxe. 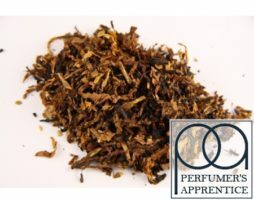 Perfumer’s apprentice Vanilla bean ice cream. I really like this one, which surprised me, got it for the wife, she fancied a custard mix, so gave this one a try and ended up loving it myself, also tried the healthier version vanilla swirl, which is nice but true to fashion the one that’s worse for us tastes best! But yeah this is lovely in mixes, you can’t go wrong what you mix it with, lovely! 10 out of 10! Smooth and creamy custard. will need a good 3-4 weeks steep though. My favorite vape and the best I’ve tried to date, Perfect!!! great taste. steeping certainly makes it nicer. im new to diy, this is my first attempt and i think i did a good job:) the taste is awsum. shall bye again. Love this vanilla custard.mixed at 10% in a 50/50 mix.will buy again. 1st time getting the concentrate from here and its spot on,good custard flavour as i did a 10ml test bottle,i will use on its own and also with diff fruit flavours,will defo get more as good price and great delivery service. I can’t stop mixing this with fruit flavours! The amount of coils I’ve gunked up smoking this haha..great! I mixed 12% in a 70/30 vg/pg mix and left for a week. It tastes great. I still have the Capella to try for comparison but I do like this. It’s the best custard one I’ve tried so far. Beautiful for adding some depth, I even throw a couple of drops in my nutella mix for a bit of that thick taste it has. Handy for any dessert flavour. but I find where it really shines is as a mixer for a creamy vanillary (sp) note to the whole recipe…….trust me you NEED this in your toolbox. I use this with my ever changing DIY vanilla custard, very nice addition to my recipe. Good creamy custard, mixes well with fruit, only need small percentages if you have the patience to steep it for a couple of weeks. just mixed this up, had a little pre-taste and it’s awesome. now if i can just leave it for a few weeks without returning! truly awesome flavour, its mostly all I use, setting a bench mark at which I rate everything els, I make it at 20% flavour at 70/30 vg/pg 10mg nic. steep for at least 10 days. the longer the better. I’ve tried them all but I just keep coming back for more of this. It’s quite simply the best tasting. And great value too from Vapable. The best custard flavour. I love it on it’s own mixed at 10% and leave to steep for a week or so. Steeping is a must with this custard but essential tool in my box. Great base for custard puddings when mixed with fruits, chocolates and shines when you ramp up its vanillas with vanillan, EM and Vanilla Swirl! Cheeky little number that will have you grabbing for a spoon when mixed with Jack fruit and Ripe Banana from TFA and a little EM! Very nice and has become my day to day vape, like the other reviewers it’s better to let it sit for 1- 2 weeks to really improve the flavour. Steep for best results, really nice flavour off the bat, but after a week or 2 of steeping its so creamy and satisfying, love it! very little difference between this and capellas. both are rich and custardy. I like to mix at 20% and steep well. doesn’t need sweetener, but I like to add it cause I like it really sweet. I really like this. Its almost indistinguishable from the Capella v1. Needs slightly less time to sit though. Not as good as the Cappella V1 but still an alternative and it’s very nice. I normally make a mixture with my custards so a good mixer. This is the first time that I have seen Vanilla Custard for sale by P/A . I will order more . Prefer this over the Capella version 1 and this is considerably cheaper too. Better than other custards that i have tried. I enjoyed this, mixed at 15% with 2% dulce de leche and a few drops of ethyl maltol to taste. A well rounded custard. Really unique custard taste, different from any other I have tried, excellent in mixes with pie crust and other baked concentrates. fantastic vanilla custard, a lot stronger than the capella ones, but its a different taste. 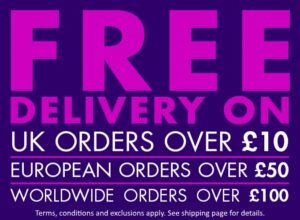 but its cheaper, and its really nice, I buy this along side the capella one, and pick up which ever one I fancy vaping, there both as good as each other. creamy custard heaven in a bottle..
it’s almost as same as capella’s custard but cheaper. Got this in my last order for free (thank you), I prefer the flavour to cappella vanilla custard but it does have a slight soap/perfume taste on first drag, anyone know how to get rid of this? Smooth and creamy awesomeness!! Buy some now!! 100ml ordered, fast as usual and tastes good waiting for steeping.